Before traveling to Africa, I put together several capsule wardrobe graphics to help with my packing. These were created on a now defunct website, Polyvore. 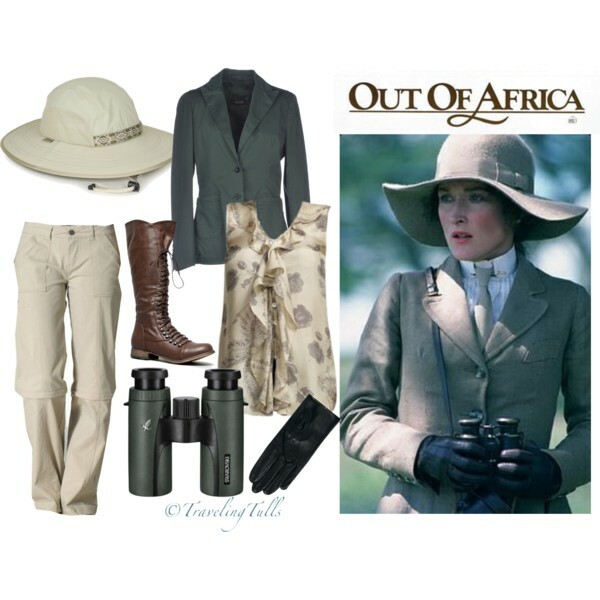 Though the site is no longer available, the graphics continue to help me with packing for safari. Cape Town is one of the most beautiful cities in the world, with the harbor and colonial architecture set against the majestic backdrop of Table Mountain. A visit to South Africa would not be complete without a stay here. For the safari traveler, luggage space is severely limited. Most airlines allow only 33 lbs. in soft sided bags – and this includes all carry-on. So how to adapt your safari and traveling clothes to this cosmopolitan city? Pack a simple dress, your DKNY cozy or a light jacket. Use a scarf and a little costume jewelry to dress up the look. 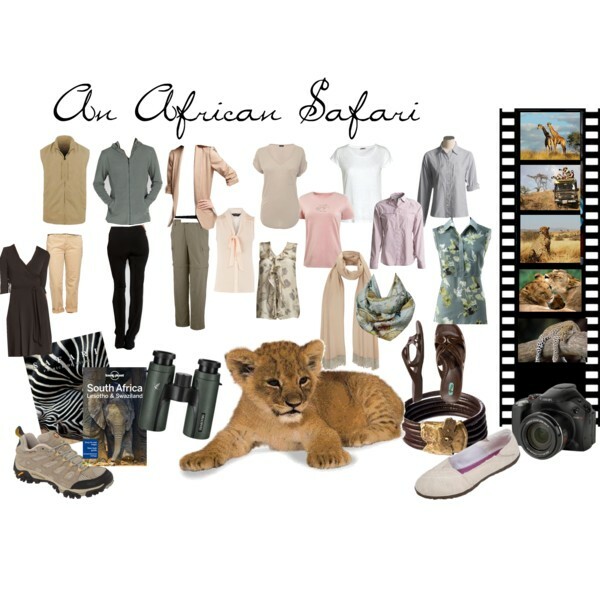 Posted on August 13, 2011 April 23, 2019 by TravelingTullsPosted in Africa, Travel Clothing, Travel StyleTagged polyvore, travel capsule.